National Trust for Scotland and Vets4Pets surgeries in Scotland have launched a search to find the nation’s favourite place to walk your dog. Throughout the summer people will be asked to vote on their preferred dog walk destination, with the top 10 revealed in September. To help, National Trust for Scotland and Vets4Pets have split the list into categories with 10 options in each. They include coast, rivers and lochs, and mountains. National Trust for Scotland’s assistant director, Countryside & Islands, Steve Callaghan, said: “Scotland has many fantastic places to explore with your dog, from the cities to the Highlands and Islands. 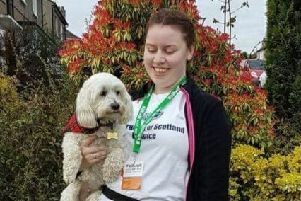 To vote, go to https://www.surveymonkey.com/s/scotlandsfavouritedogwalks. Voting open until August 31 and the results will be announced early September.